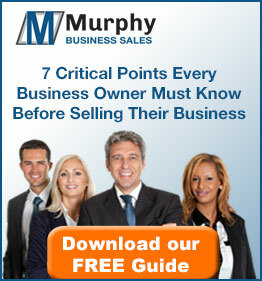 Murphy Business is one of the largest and most successful business brokers in North America. The Northeast Tarrant County Texas (TX) office is one of more than a hundred and eighty offices across the United States and Canada. The experienced business brokers at Murphy Business have owned or managed a business in the past. This first-hand experience helps to provide professional assistance whether you are looking for commercial real estate, a franchise opportunity, assistance with mergers and acquisitions or you are just looking for a business valuation. Murphy Business professionals offer assistance with all of your business broker needs. Tarrant County (in particular Northeast Tarrant County) offer Business Opportunities, Quality and Affordable Housing, Higher Education, Arts and Entertainment, Friendly Neighbors and Wonderful Suburban Communities; Tarrant County has it all. Some of the greatest suburbs of Fort Worth are Southlake, Grapevine, Colleyville, Keller, Watauga, North Richland Hills, Bedford, Euless, and Hurst. These cities are just minutes from Dallas/Fort Worth International Airport and Alliance Airport. They offer an excellent quality of life in a comfortable suburban setting with convenient access to Fort Worth, Dallas, and Denton. The Metroplex offers an excellent highway system with Hwy 114, Hwy 121, Hwy 183 and Hwy 360 all converging in NE Tarrant County. Establishing your business in this area provides easy access to clients, with the majority of over 6 million people within 25 miles. The Dallas/Ft. Worth International Airport, located just east, serves over 60 million passengers annually, is ranked the world’s third busiest airport and provides over 212,000 area jobs, both direct and indirect. The selling process starts with a business valuation. Murphy Business valuations are performed by qualified, experienced professional appraisers and are in compliance with Uniform Standards of Professional Appraisal Practices (USPAP) of the Appraisal Foundation. The Northeast Tarrant County, Texas (TX) Murphy office provides extensive expertise in the local market and connects you to opportunities worldwide. Whether it’s a franchise opportunity, merger and acquisition, consulting, or site selection for commercial real estate, we will provide the confidence and expertise needed to partner with you on your business venture.